Privilege is the biggest club in the world, providing the ultimate experience and unforgettable clubbing moments like no other. 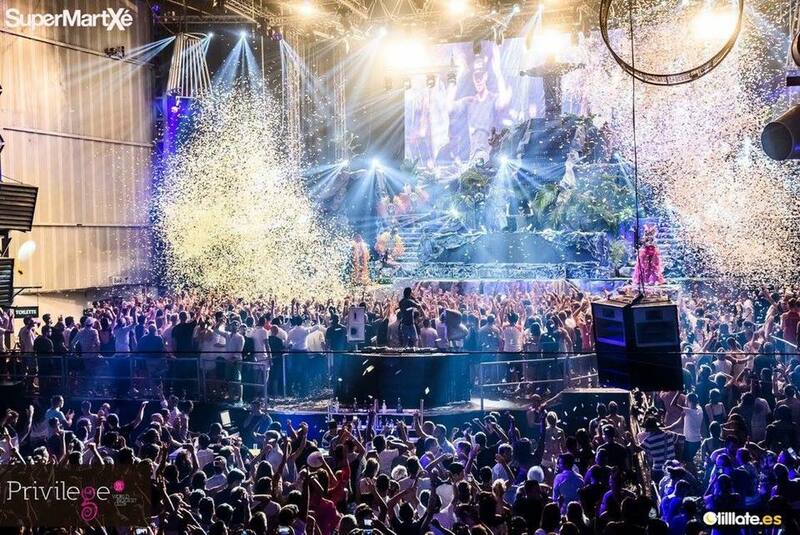 Hosting some of the world’s biggest parties, this venue certainly doesn’t disappoint. With its spectacular dance floor and exciting program of parties, Privilege has become the go to club for those looking for big techno raves and parties that push the boundaries of Ibiza’s clubbing scene. A huge swimming pool takes center stage in this club but there are lots of other areas of the club for you to explore and discover, including the Vista Club where you can watch the sun rise.